Superdry men’s Regent Street Flagship t-shirt. This crew neck tee is an essential for your off-duty attire and pairs well with jeans and trainers for a relaxed, yet comfortable look. 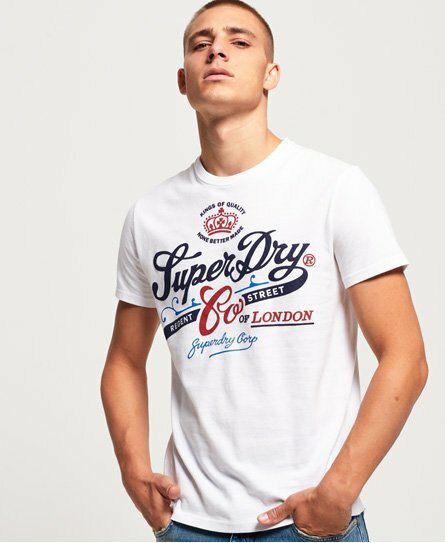 The Regent Street Flagship t-shirt features a Superdry logo across the front in a multi-texture print and a Superdry logo tab on the hem.